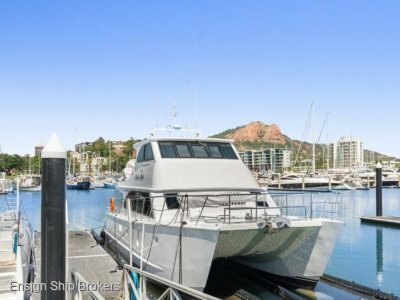 This is Peter Brady’s passage maker design and is an extremely well maintained, roomy, economical, cruising motor sailor, power catamaran. 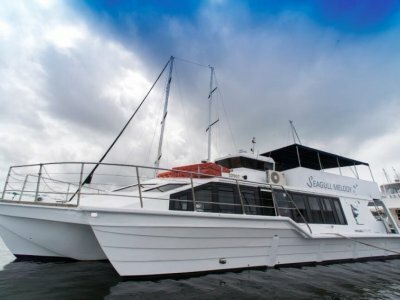 Her main cabin has a full island walk-around bed and is 100% ready for the trip of a lifetime. 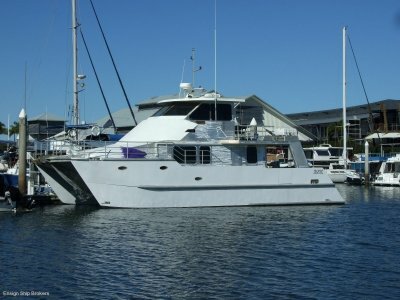 Owner has taken great consideration to the price of this vessel and has listed her at a price that she WILL be sold for. 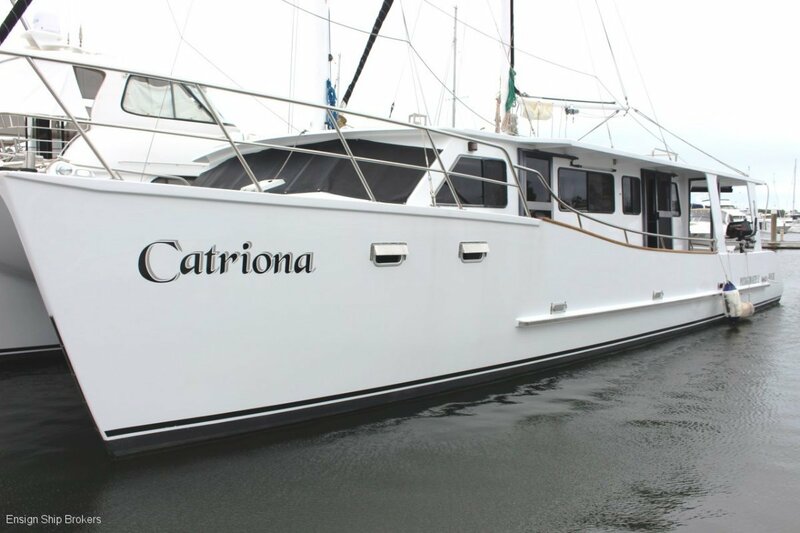 Don’t be mistaken - if you are looking for a near perfectly maintained vessel, want to buy with confidence, and you have a budget around $399,000, then waste no time! You will be impressed! 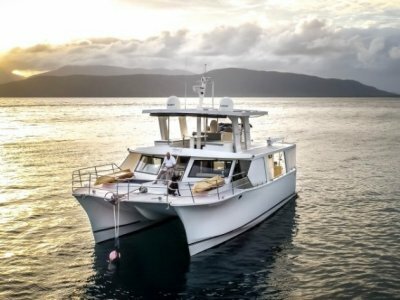 The vessel's owners are over-committed with properties and have decided the boat has to go and have priced her accordingly. 2x Forward double berths on Bridge deck, 1x Master Island bed Aft. Ronstan sail tracks and rope jam cleats, Two speed acro self tailing winches, 2 refit headsail furlers and 1 main sail furler.